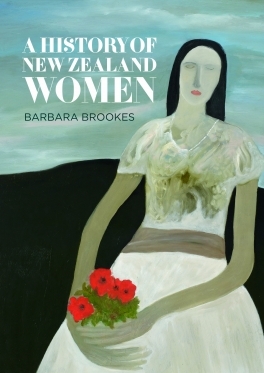 I've recently finished reading A History of New Zealand Women, by Barbara Brookes (Bridget Williams Books). Rumour has it that the first print-run has already sold out. I'm reviewing it for the Women's Studies Newsletter, so I'll post that review later. For now, I want to write about what Barbara says in her introduction about her own life; but first I want to say a little about some aspects of mine. I was born in 1945 and brought up in Auckland. I was lucky - I was in the zone for Auckland Girls' Grammar, and wanted to go there because it offered full art as a subject. My father had previously been a commercial artist, and I wanted to be one too - I dreamed of becoming an illustrator for the English women's magazines my mother read. The only problem was that I didn't know the difference between commercial art and art. Until I went to Auckland Girls', where the walls were covered with good reproductions, I'd never been to an art gallery or even seen a really good picture. So art was the only subject where I did badly, and at the end of the third form I was persuaded to drop it and pick up Latin instead. I went on to make the most of the academic stream I was in, and ended up dux. Both my parents had had to leave school at twelve, but they were happy to take the school's advice and let me go on to university. With both a national scholarship and a Lissie Rathbone (for English and history), my fees were paid, I had my own pocket money, and I could live at home. Though I never thought about marriage and motherhood, I had only the vaguest idea about my future, involving copying my beloved French teacher and somehow getting a scholarship overseas, preferably to England or Paris. 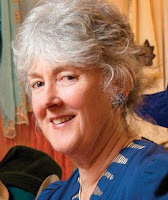 In due course I graduated with first class honours in English in 1968 (the only member of my all-female year to do so), and was given a junior lectureship. But by then, as well as being female, I had married (at 19) and had a baby (at 20). No one on the "proper" staff took the slightest interest in me, or ever talked to me about my academic future. I think they simply assumed I didn't have one. In 1971, as Barbara points out, only 1 percent of women had degrees or other higher qualifications. I was eager to have another child, and took what I thought was a year off to do that, then found I couldn't come back - all the junior lectureships had gone to the lauded clutch of first-class men who graduated the year after me. So of course I did the only thing I could think of, and went off to teachers' college, as my teachers at school had all along wanted me to do. But it seemed so circular and pointless - bright girls became teachers and taught other bright girls, who became teachers in their turn... I finally received my PhD in 2006, on my 61st birthday. Barbara Brookes is ten years younger than me. She too was initially destined for teaching, but her trajectory as an adult was completely different from mine. At Otago University she found supportive mentors and could embark on feminist research. A recent article in the University of Otago magazine explains how, with Professor Erik Olssen’s encouragement, she won a scholarship to Bryn Mawr in Philadelphia, where she completed an MA. And the rest, as they say, is history - only in this case, an invaluable trove of papers, articles and books centering on women-focused history, culminating in this satisfyingly massive new book. Her career has, however, been far from typical. She was an early example of the contemporary women she describes who, having 'opted for traditionally male professions are currently transforming them' (p. 481). Yet it's vitally important not to lose sight of the fact that the majority of women continue to be found in jobs remarkably similar to the ones Barbara describes them doing back in the 1980s: sales, teaching, nursing, lowly office work, plus the lowest paid and least secure of all - cleaning and caregiving. And, of course, all that unpaid cleaning and caring work at home as well, perhaps now more invisible and subservient to what policy-makers persist in calling "work" than it has ever been. So when Barbara ends by saying, 'We now rely on them [younger women] to imagine a future where the challenges of both respect for diversity and a commitment to equality can be met' (p.483), she has to be read as referring not only to a once unimaginably diverse array of cultures, ethnicities, genders, sexualities and family forms, but also to the kind of equality among women themselves that is now so glaringly lacking. Thanks Anne. Living in Australia I often miss new NZ books. I will endeavour to get a copy of this one. Like you, I completed a PhD in my 60s in 2013 in my case - I was born in 1951 so between you and Barbara. I don't think I have mentioned before that I downloaded your thesis and enjoyed it very much. Thank you very much for your lovely comment! I'm especially delighted to know that you've read my thesis. What was your thesis topic, and is it online? I wrote about the experience of doing a PhD in Australia. My title was 'Living in Liminal Space: the PhD as accidental pedagogy" and I'm told its a good read. :) It can be downloaded from http://hdl.handle.net/2123/9397 Thanks for asking! Thank you, I will definitely have a look, sounds very interesting. It's so interesting that your parents supported your going to university, even though they had no higher education, or even high school. I remember trying to get back into the English Dept to teach after having a baby & being on a post doctoral scholarship overseas. I was offered only the tutoring that I had done as a PhD student; an academic career was no longer possible. Someone told me the HOD was against women working if they had babies. In the end, I was free to develop creatively and it was probably a good thing, but I remember feeling thwarted at the time. What year did you try to get in again, Juliet? I would think that same HOD was there when I couldn't get back in. And given how early most of us had babies then, his attitude would of course have neatly kept pretty much all of us out. Interesting that your overseas post-doc made no difference - those were the days when they were intent on hiring British chaps with UK degrees.